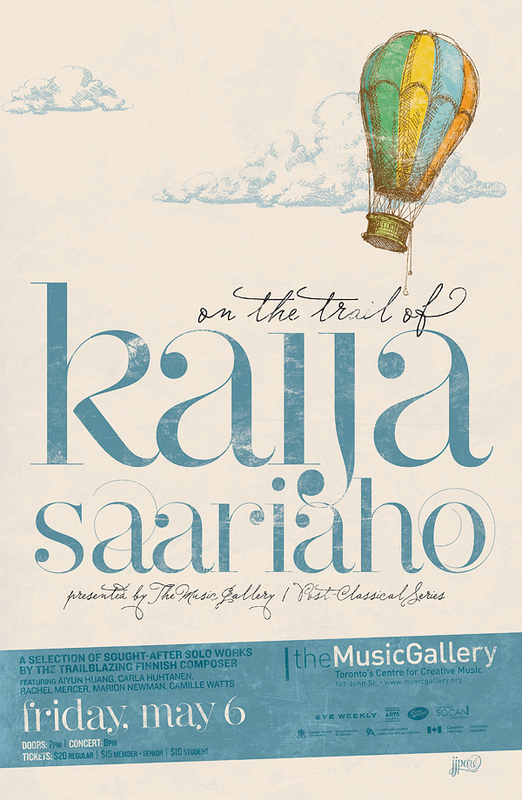 Marion will be performing a selection of sought-after solo works by the trailblazing Finnish composer Kaija Saariaho, along with Carla Huhtanen (soprano), Aiyun Huang (percussion), Rachel Mercer (cello), and Camille Watts (flute/piccolo). Kaija Saariaho is one of Europe's most recognizable composers, but her success hasn't always translated to popular acquaintance on these shores. There are many who are trying to correct this oversight, including Carnegie Hall, where she will be Composer-in-Residence for the 2011-12 season, and the Canadian Opera Company, who will present her opera L'amour de loin in 2012. For those who are interested in getting to know her music, and for those who already do, the Music Gallery presents a selection of her solo works as interpreted by some of Toronto's finest performers. From the Grammar of Dreams is one of Post-Classical Series curator Gregory Oh's favourite vocal works of all time, boasting a haunting libretto drawn from the work of Sylvia Plath and an extraordinary understanding of how to write for the voice. Sept Papillons will be of interest to opera lovers, having been composed right after the conclusion of L'amour de loin, mostly while watching rehearsals in Salzburg. Marion opens the broadcast of this annual celebration of the achievements of Indigenous people from across Canada, featuring performances by Chantal Kreviazuk, Derek Miller, Carey Newman, Andrea Menard, Leela Gilday, Fara Palmer, Jani Lauzon, Sandy Scofield and Rita Coolidge, with a special appearance by Robbie Robertson. An evening of Venetian baroque extravagance with the Aradia Ensemble, in Ottawa! Marion performs at the live event, which will be recorded for a later air date on Global TV and APTN. An evening of Venetian baroque extravagance with the Aradia Ensemble. This concert will also feature two new works by Rose Bolton and Chris Meyer, as well as participation by the Toronto Youth Chamber Orchestra and the Kingsway Conservatory Strings. Marion will sing under the direction of Timothy Vernon. Marion will be singing the world premiere of a work based on the writings of Emily Carr by Canadian composer Tobin Stokes.